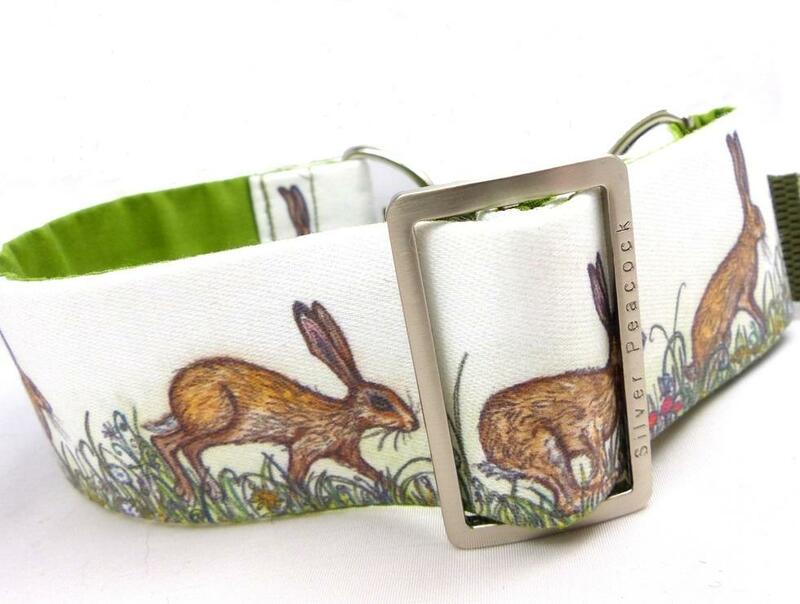 This is such an elegant addition to our new range, that will be perfect for both boys and girls! 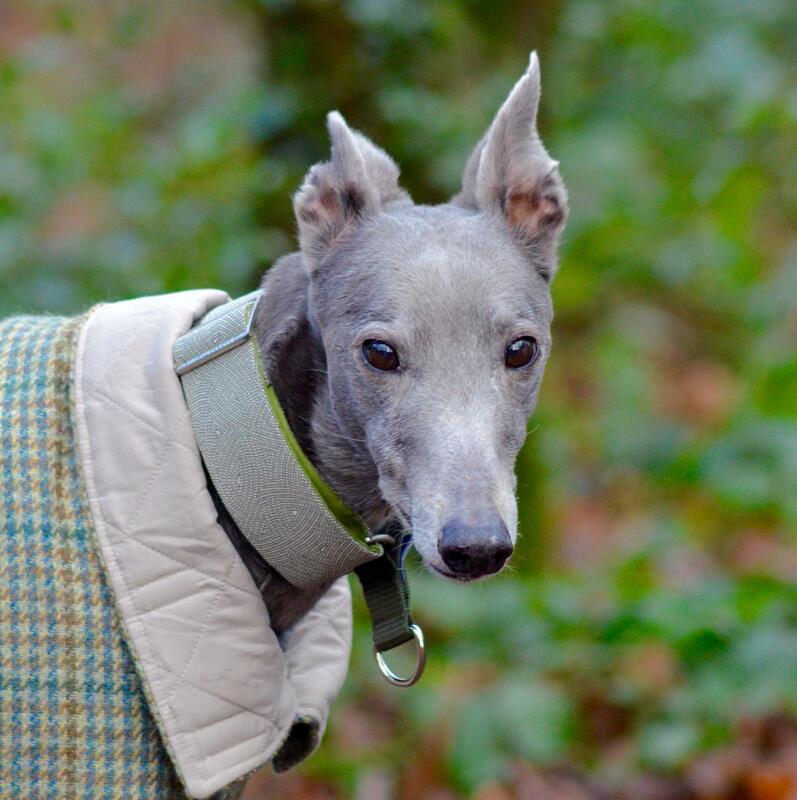 This fantastic fabric was intended to by used to make Komon Kimono but instead we spotted it and it's now destined to be hound collars! 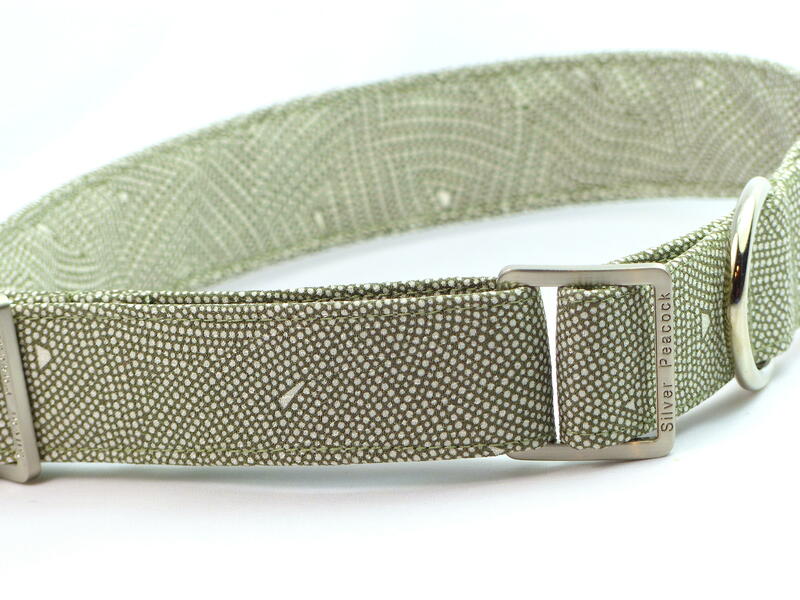 The lovely oatmealy-cream silk is printed in such a way as to show through the base colour in tiny dots organised into geometric shapes on a soft mossy green "background". 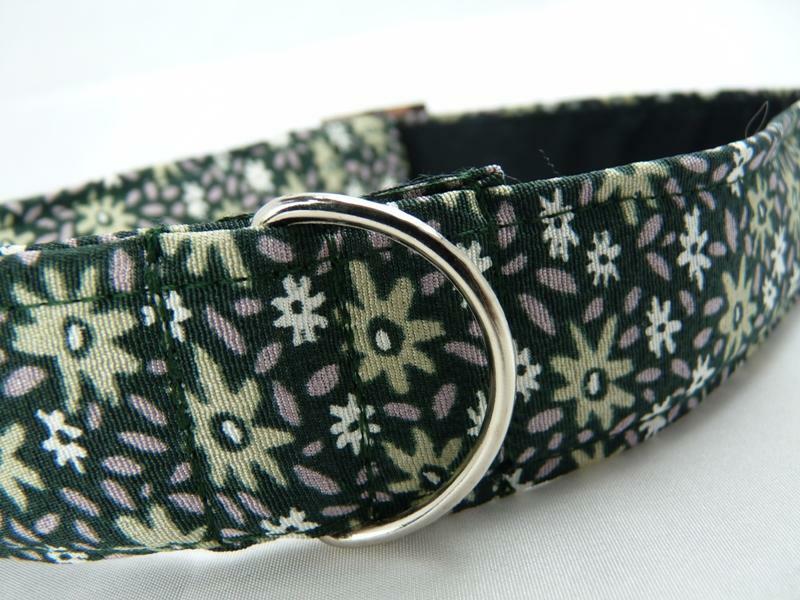 From a distance the collar appears a simple pale green but on closer inspection the true beauty of the fabric is revealed! 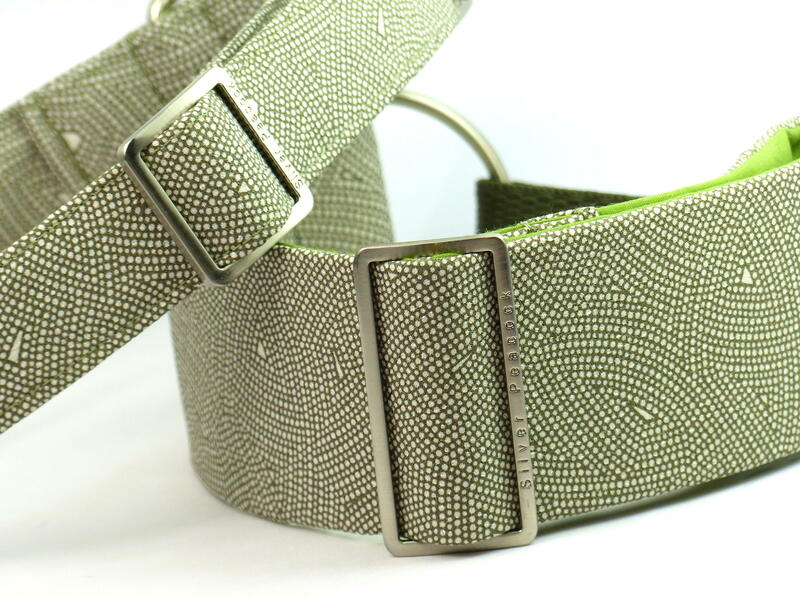 The fabric is a closely woven, slightly shiny 100% silk. 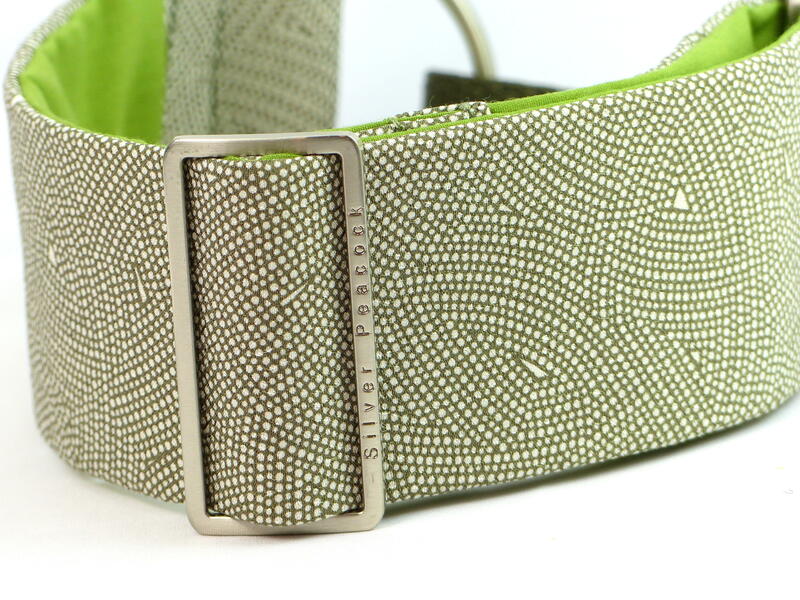 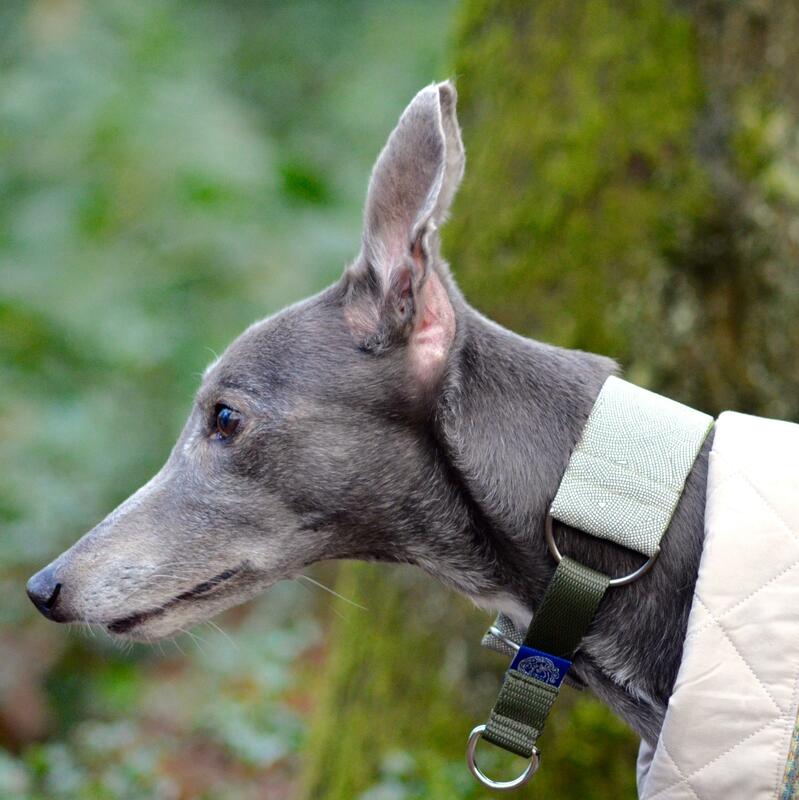 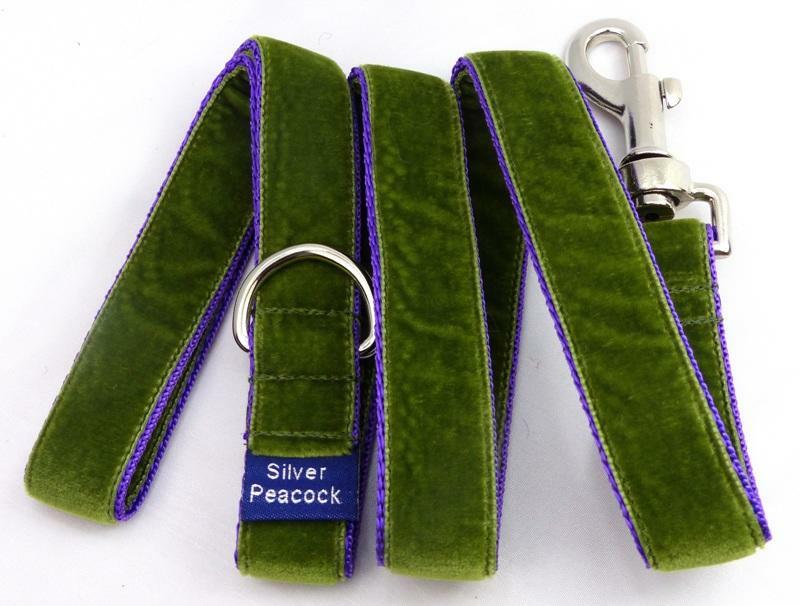 The collars are lined with moss green fabric and are finished with robust silver coloured hardware. 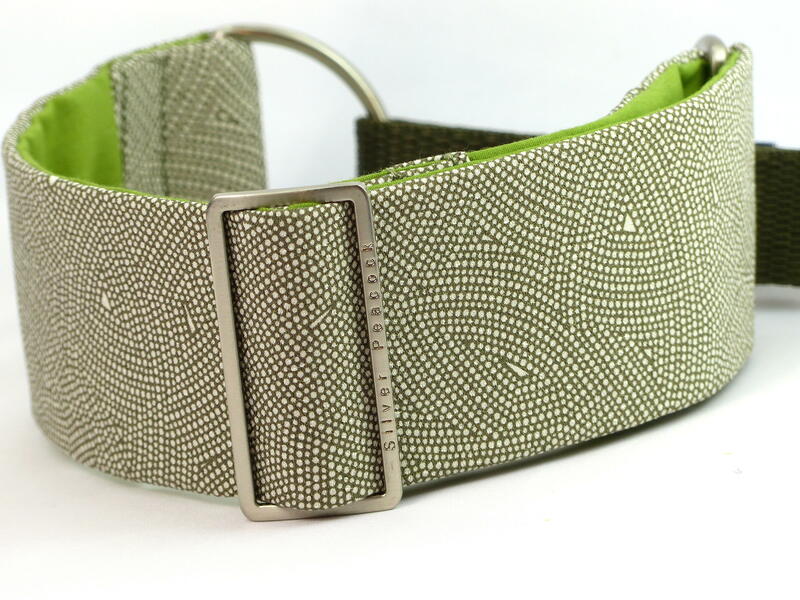 It has a moss green webbing section.